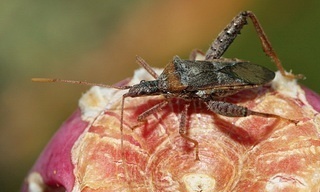 With their enlarged hind legs, male cactus bugs fight with each other to defend a territory or to achieve access to a female. What will become of a male that lost one of those weapons, Paul Joseph and colleagues wondered. 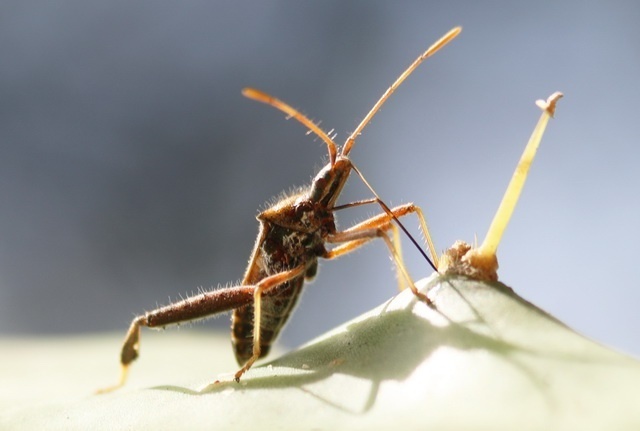 The leaf-footed cactus bug Narnia femorata can drop (autotomize) a leg when this leg is grasped by a predator, entrapped or damaged. Thanks to such self-amputation the bug survives the incident, but from now on it has only five legs left to stand on and to walk on; a leg that is lost is not regenerated. For a male, it is extra annoying if it has to sacrifice one of its two hind legs, because it uses them to fight with other males for the possession of a territory or the access to a female. However, if it loses a hind leg before it is fully grown, it can compensate for it, write Paul Joseph and colleagues. In the southwest of the United States, Mexico and parts of Central America, the bugs live on cacti, for instance on the prickly pear cactus Opuntia mesacantha. They feed on the plants, preferably on the ripe fruits, and females lay their eggs on them, selecting parts with ripe fruits. Males try to defend a territory on a cactus. If an intruder shows up, both males position themselves rear to rear to display, kick and wrestle with their hind legs until one of them gives up. In the presence of a female – when there is a lot at stake – the fight is fiercer, and the male with the largest hind legs will be the winner. The hind legs of males are real weapons, they are enlarged and serrated. A male that loses one of its hind legs is in problems. It cannot defeat an intact rival and the chance that it will mate a female has decreased considerably. But it may compensate for its disability, Joseph hypothesized, by growing larger testes. This would be possible if the leg is lost before the male is full-grown; bugs don’t go through a complete metamorphosis with a pupal stage, but they grow gradually. In order to find out whether juvenile males grow larger testes after losing a hind leg, Joseph experimentally induced juvenile bugs to drop a leg by grasping the leg with a pair of forceps and tickling with a small paintbrush, mimicking what can happen in the wild. As expected, after such treatment the testes grew extra large, while everything else developed as it normally does. And is it useful to have enlarged testes? The researchers paired disabled and untreated males each with a female for 24 hours. Afterwards, they counted how many eggs the females laid and how many of them hatched, meaning that they had been fertilized. 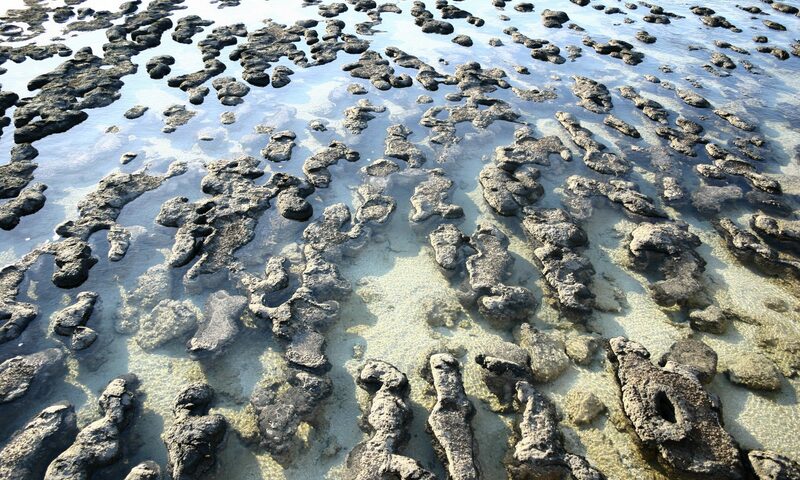 They noticed that most females produced about twenty eggs, independent of whether or not they had mated. Clutches of females that had been paired with an untreated male were more likely to contain eggs that hatched than clutches of females with a disabled partner. Apparently, males that dropped a hind leg less often succeeded in mating. But if disarmed males managed to mate, they fertilized a larger proportion of the eggs. Their enlarged testes produced more sperm, and so they sired more offspring than intact males. In conclusion, males can compensate for the loss of a weapon by investing more in testes growth – but only if they lose it when still young. Otherwise, it is just bad luck.